Last week, All Pakistan Private Schools Federation President Mirza Kashif announced that Malala Yousafzai’s book was to be banned in private schools across the country due to concerns that the contents could ‘challenge the ideological foundations of our next generation’. What is worrying, however, is not the ban but the public’s response. 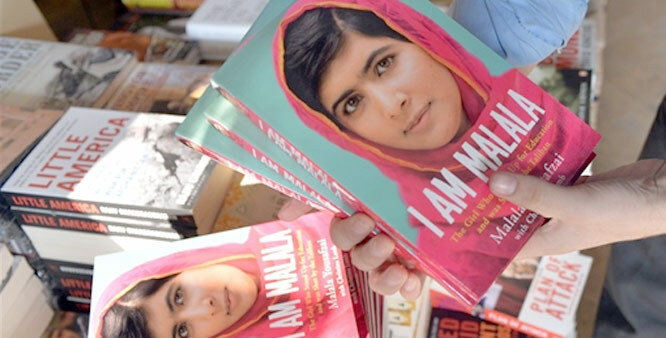 The announcement that APPSF will ban Malala’s book was met with a shrug, with many people having turned their backs on the poor girl out of jealousy or sympathy with Taliban conspiracy theories or both. Yesterday, a new report called the ban ‘much ado about nothing‘, pointing out that it was not an official ‘ban’. This report was quickly spread by even supposed liberals who sometimes seem more concerned with keeping up appearances than facing the difficult problems society faces. This new dismissal of the ban, however, is in some ways more worrying than the original report. Responding to the original announcement of APPSF, All Pakistan Private Schools Management Association (APPSMA) Central President Adeeb Javadani termed the story as ‘a publicity stunt’, explaining that nobody was going to use the book anyway. He added that the book was meant for the Western audience and did not receive much appreciation in Pakistan – a fact that had already decided its fate. The announcement of an official ban, in other words, was unnecessary because unofficially, we have already decided to suffocate Malala’s ‘dangerous’ ideas by pretending her book does not exist. This should be of even greater concern to anyone who hopes to build a more educated, more tolerant Pakistan: We have reached a point that we no longer require authorities to ban books that promote a tolerant, liberal Pakistan, because we have no interest in them anyway. The Taliban tried to kill Malala with bullets, but, like Mirza Kashif’s announcement, their murderous impulse was unnecessary. Malala’s ideas were already dead on arrival. This entry was posted in Blogs and tagged education, history, Malala Yousufzai, tolerance by Sidra Jafri. Bookmark the permalink.